SPECIAL OFFER 2016: BOOK YOUR SUMMER HOLIDAY* BY FEBRUARY 28 AND SAVE UP TO 15%. OFFERTA SPECIALE 2016: PRENOTA LA TUA VACANZA ESTIVA* ENTRO IL 28 FEBBRAIO E RISPARMI IL 15%. *Starting from three nights (March, April, May, June, July, September, October, November). *A partire da tre notti (Marzo, Aprile, Maggio, Giugno, Luglio, Settembre, Ottobre, Novembre). 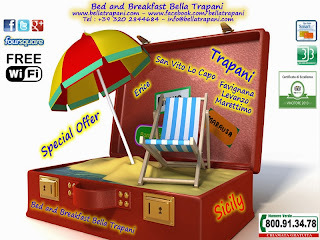 Offerte di soggiorno e bed and breakfast a Trapani. 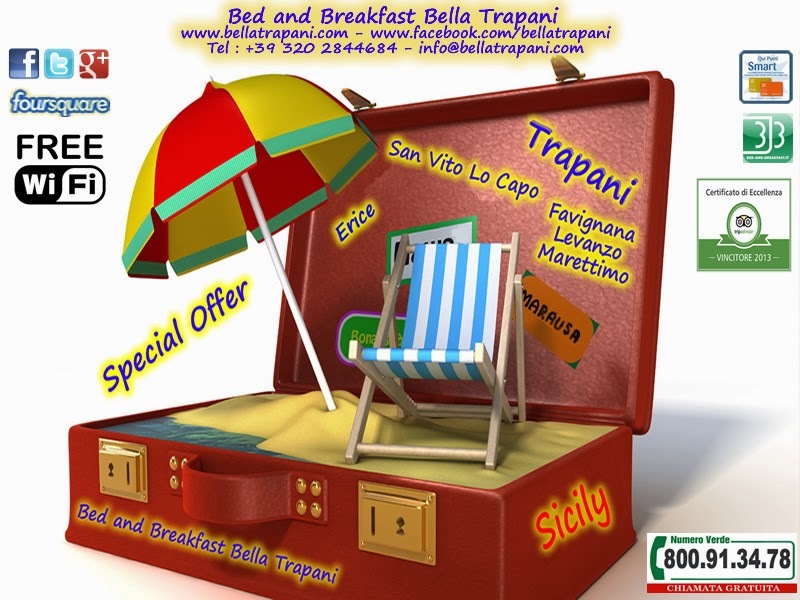 Offerte last minute e bed and breakfast a Trapani. Bellatrapani.com. Tema Viaggi. Powered by Blogger.